Date: 22.03.2018 | Psychedelic, News | Tags: Goa Dreams, Pink Revolver, Continuous Mix, Liquid Ace, Neelix, Lifeforms, One Function, Simon Patterson, Dj Fabio, Claudinho Brasil, Mindbenderz | Download Goa Dreams Vol. 6 (2018) for free. 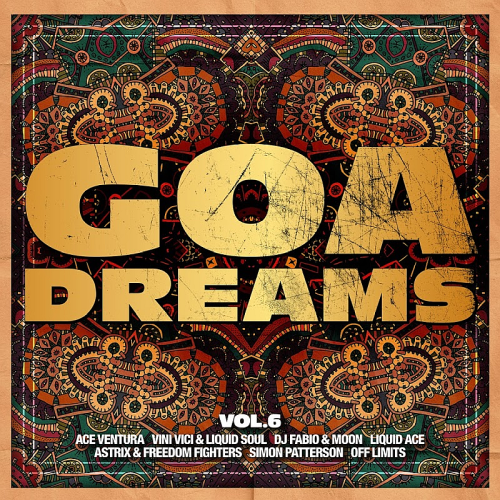 Goa Dreams Vol.6 brings the big tracks of the scene in an energetic DJ mix and speaks directly to the fans of good psytrance and progressive trance! When the first outdoor trance parties took place in the Indian state of Goa in the late 1980s, no one would have thought that this trend would last or develop that long. Hardly any other dance scene in Europe has a greater sense of community than the Goa scene. This is where music and everything related to it is still alive. No genre has a more developed and better developed underground party scene, in many forums and communities, the fans are in constant contact. Smaller events are held constantly and in summer the big festivals and parties like Waldfrieden Wonderland, Alice in Wummerland or Psy-Purgisnacht are always sold out.